These young mens fashion skinny ties will go great with our huge selection or Prom Suits: bright color mens skinny ties, mens 80s skinny ties, pastel color mens skinny ties, mens animal print skinny ties, mens neon color skinny ties, mens cool reversable skinny ties, mens striped skinny ties, mens leather skinny ties, mens studded skinny ties, mens, 60s skinny ties, mens vintage skinny ties, mens black skinny ties, mens striped skinny ties, mens checkered skinny ties, mens patterned skinny ties, mens designer skinny ties, mens blues brothers skinny ties and more. We have ties from all periods. We have solids, red, black, white, purple, lime green, polkadots, art deco, skinny, wide polyester, knit, ganster, silver and gold metalic, patriotic, jazzy, 20’s-80’s, 90’s power ties and many, many more. We have pocket squares to match our ties. 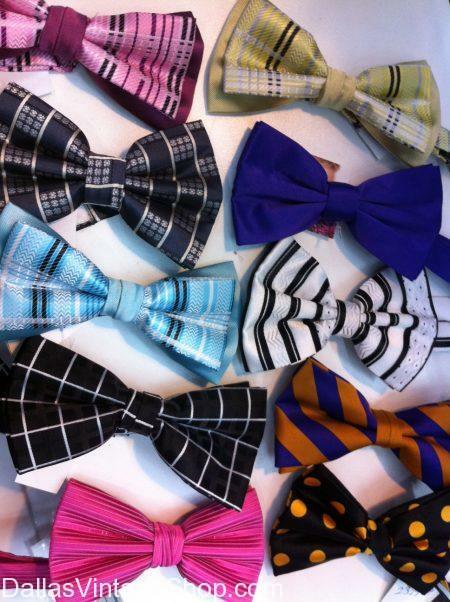 There are vintage and modern bowties and cumberbuns. We have a huge selection of vintage suspenders. You are in Vintage Ties and Vests category.